These are my three words to live by in 2016. 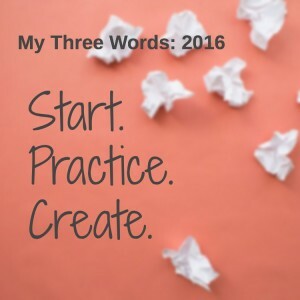 The Three Words practice is an alternative to New Year’s resolutions. Instead of listing goals, I’m choosing three words to guide me, to act as themes for projects throughout the coming year. There’s nothing wrong with goals, but choosing themes creates a framework for setting goals in both work and personal life. It also allows adjustments that need to be made when “life happens” and personal needs change. In selecting and announcing my three words, I’m following a trail blazed by author, marketer and business servant Chris Brogan, who started his three words practice a decade ago. Since then some of my favorite digital thinkers have adopted the process, and I have, too. I didn’t accomplish what I had hoped with my three words for 2015 — read, write, share — but by writing those three words, I planted some seeds that may yet grow and mature. I chose “start” a few weeks ago. The word is already written on my small office whiteboard. It’s there to encourage me to stop thinking about doing something and just start. Overthinking might be one of my worst habits, and it often gets in the way of beginning a new project, whether it’s the next item on my daily to-do list or the Great American Novel (yep, it’s still on my list). When I remind myself to just “start,” I get more done. I considered “begin,” but “start” seems more immediate, more urgent. I need that. “Practice” joins my 2016 list thanks to the YMCA yoga class I began last spring. Our teacher is careful to remind us weekly that the class is practice, so there’s no need to worry if we don’t execute downward dog or tree pose exactly right. The idea is that if you do the best you can one day, there’s a good chance you’ll do better the next. So this year, I intend to approach life and work as daily practice. 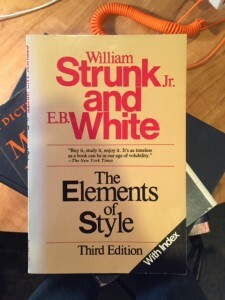 The roots of the word practice come from the ancient Greek “praktikos,” which meant”fit for action, fit for business; business-like, practical; active, effective, vigorous,” according to the Online Etymology Dictionary (http://www.etymonline.com). The root goes even deeper to “praktos,” which means “done; to be done,” and to “prassein, prattein” — to do, act, effect, accomplish. Every accomplishment is the result of practice, and every accomplishment then becomes part of the practice toward the next one. To compare it to baseball, players practice throwing, catching and hitting to prepare for games, and although the games “count,” no matter the outcome a game once completed becomes practice for the next and the next. My third word is create, which comes from the Latin “creare,” which means “to make, bring forth, produce, beget,” and is also related to “crescere” which means “arise, grow.” My creativity is usually centered around writing. During 2015, however, I found myself occasionally drawing pictures and making videos. I still intend cowrite more for myself, but I also want to let myself be creative in other ways, whether it’s writing poetry rather than prose, working on video or even coming up with some music using software like GarageBand. It may have been subconscious, but after I chose my three words, I realized how well they fit together. 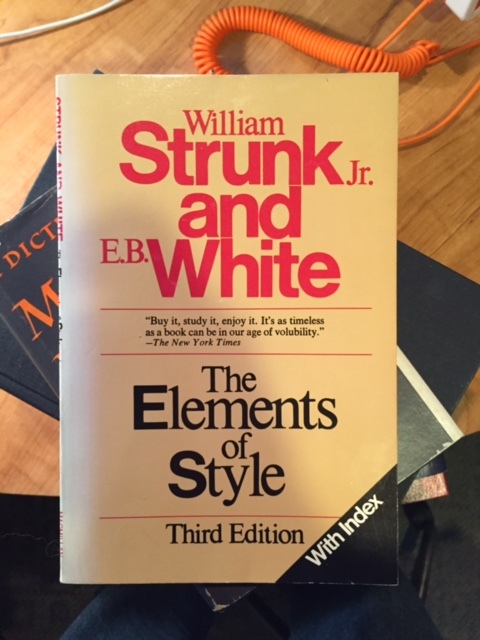 “Starting” is something I can practice, as is creativity. Each word easily fits with the others. “Practice” and “Create” will join “Start” on my whiteboard to guide me through the next year.